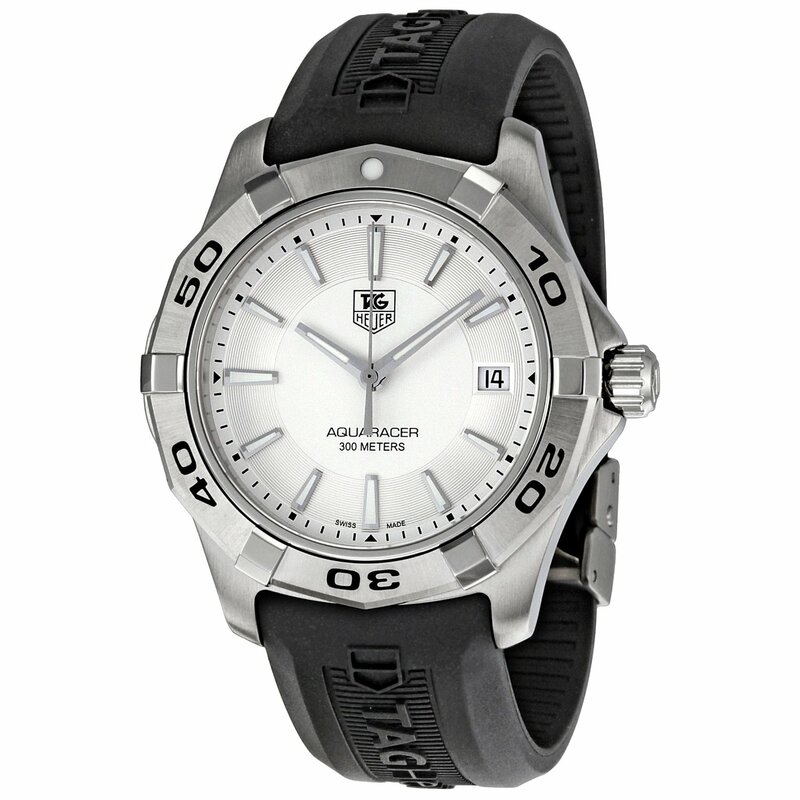 This practical and stunning timepiece by TAG Heuer, the WAP1111.FT6029 Model of the Aquaracer series is a must-have for the man who spends his time in or near the water. Avid scubadivers, sports fisherman, and swimmers, listen up. This watch is water resistant up to 300 Meters (984 Feet,) and with an anti-reflective sapphire face, makes telling time and recording time under water a cinch. This watch is for you. The Aquaracer series, originally designed and developed by and for professional divers, is an incredible symbol of TAG Heuer’s historical involvement in scuba diving and a sign of how trusted they truly are when it comes to telling time. (After all, wouldn’t you want someone you trusted telling the time of how long you were under water?) 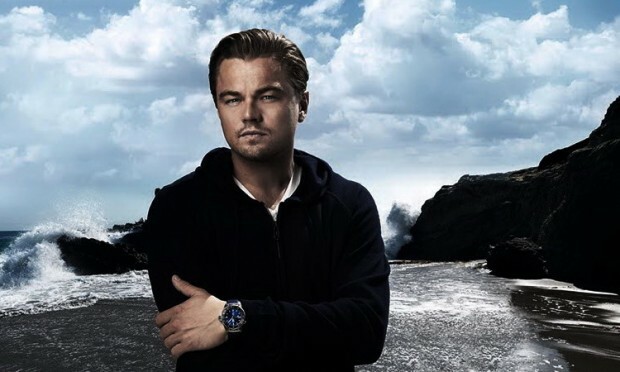 Worn by such incredible stars as Leonardo Dicaprio, the Aquaracer Series, and in particular the slick, sporty watch shown here, is a superb example of TAG Heuer’s craftmanship when it comes to watchmaking and style. Despite the series name that sounds a bit like a comic book hero from the sixties, Aquaracer is a name to be taken seriously. This watch boasts Swiss made Quartz movement, a Stainless Steel Case, Bezel and Hands, as well as a screw-down Crown and Solid Case Back. The Sapphire Crystal Face is completely scratch resistant and, did I mention its water resistant up to 300 Meters? 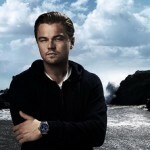 The hands are luminescent, making the watch easy to read in the dark of night, or the depths of the ocean. 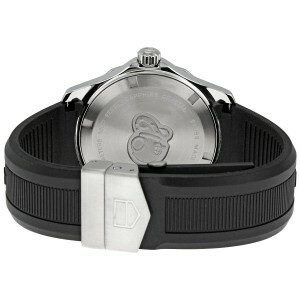 The black rubber band, while frowned upon by some, is actually an ideal alternative to the classic Stainless-Steel band, because not only is it more flexible, it also allows you to tighten the watch as needed, especially if you plan on diving into cold water, where your skin is likely to retract – making any watch fit loosely. This timepiece has few downsides, though the simplicity of the design may be off-putting for someone paying at least $1,000 for a new watch. The rubber band, though a benefit for divers and swimmers, may also be an indicator of low-quality watch making in the eyes of some. Additionally, while researching the piece, I’ve found that it is primarily only available in the US, and won’t ship elsewhere. The piece is available on most American websites, including Amazon.